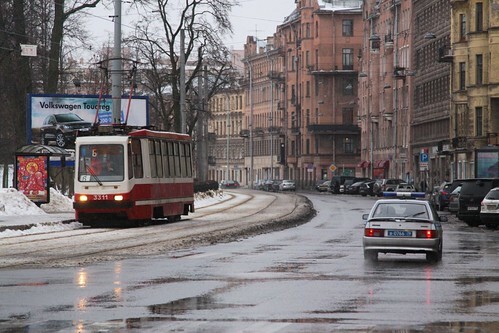 Saint Petersburg was once home to the tram network in the world – Wikipedia says it consisted of 340 kilometres (210 miles) of unduplicated track in the late 1980s, but today has shrunk to around around 200 kilometres of track, following widespread route closures. 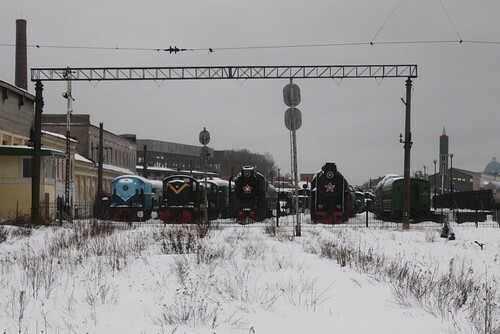 On my visit to Saint Petersburg a visit to the local railway museum was on my itinerary, but the city doesn’t make it easy – there are three separate museums, each catering to a difference facet of Russia’s railways. So how do you tell them apart? 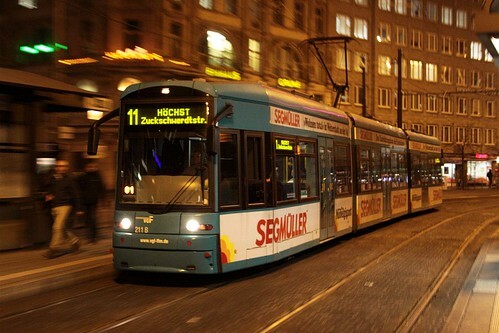 Over in Frankfurt I spent some time photographing the straßenbahn network. On seeing tram below, my thoughts went back to the Australian city of Adelaide, where almost identical trams are in service. So how are the two related? In Germany trams are called ‘Straßenbahn>’ and the places they stop are called ‘Haltestelle’ – which come in a number of different designs. The ‘Überfahrbare Kaphaltestelle‘ (traversable Kaphaltestelle) is the one of most interest to someone from a tram network such as Melbourne. 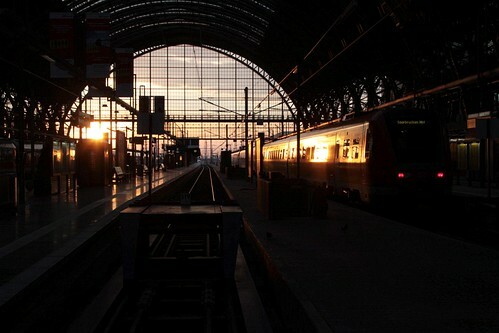 The first stop on my Europe holiday was Frankfurt, Germany. Unfortunately I didn’t get much time to look around the city, but here are a few suggested places for a railfan to visit.